Jane Palmer has worked in higher education, in art libraries, and as a research consultant. 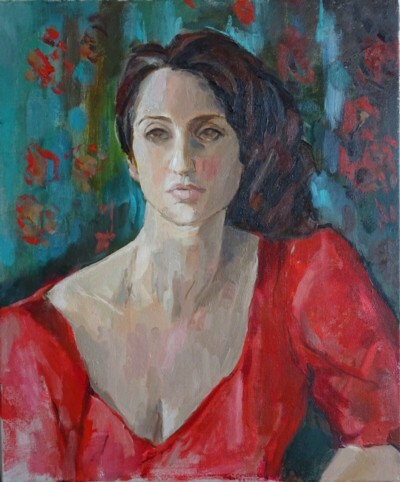 She now devotes her time to her art practice, with an emphasis on expressive figurative work, especially portraits but also life drawing, still life and Sussex landscapes. 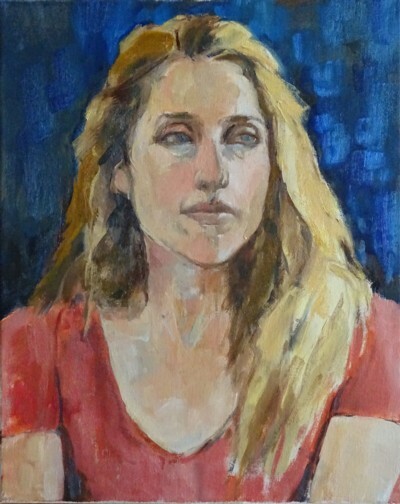 Jane welcomes commissions for portraits. Jane sometimes works alone in her studio but also organises collaborative sessions where fellow artists work together (and enjoy mutual support and cool playlists on Jane’s iPod!). She will be participating in the Artists Open Houses for the first time in May 2019, with a group of fellow artists. 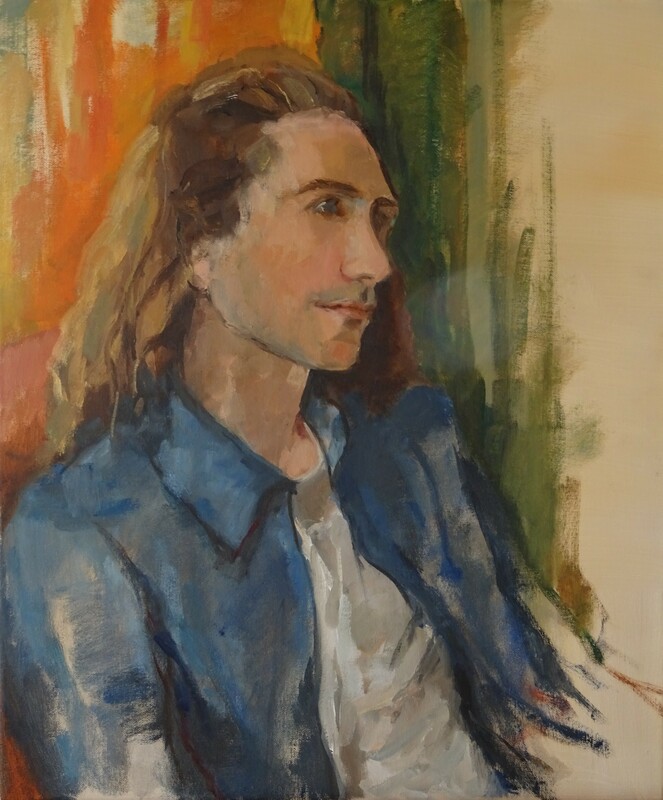 Jane has researched and presented a video biography of Eastbourne artist Margaret Benecke, a granddaughter of the composer Felix Mendelssohn, and has worked on other video productions with her partner Steve Engelhard. 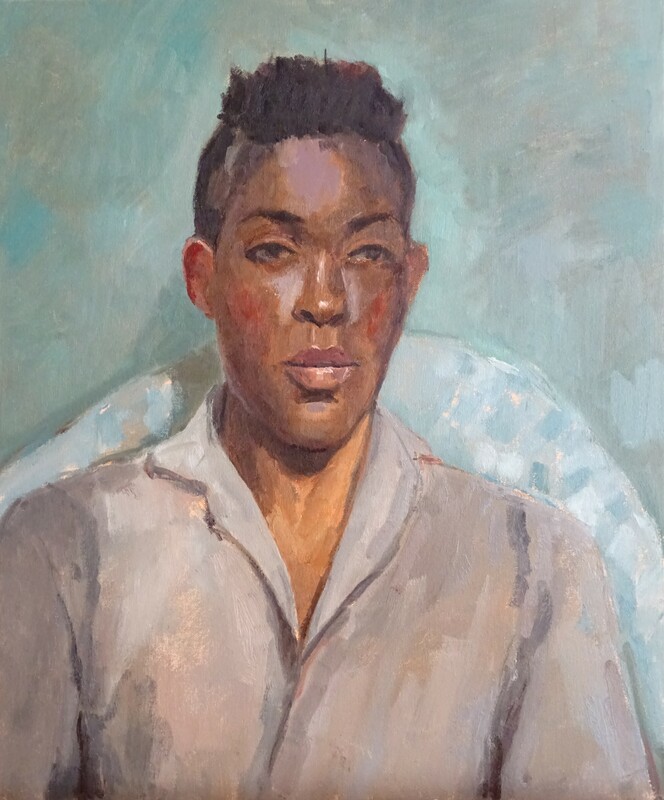 Formative influences include Rembrandt, Gwen John, Vanessa Bell, Euan Uglow and Lucian Freud. 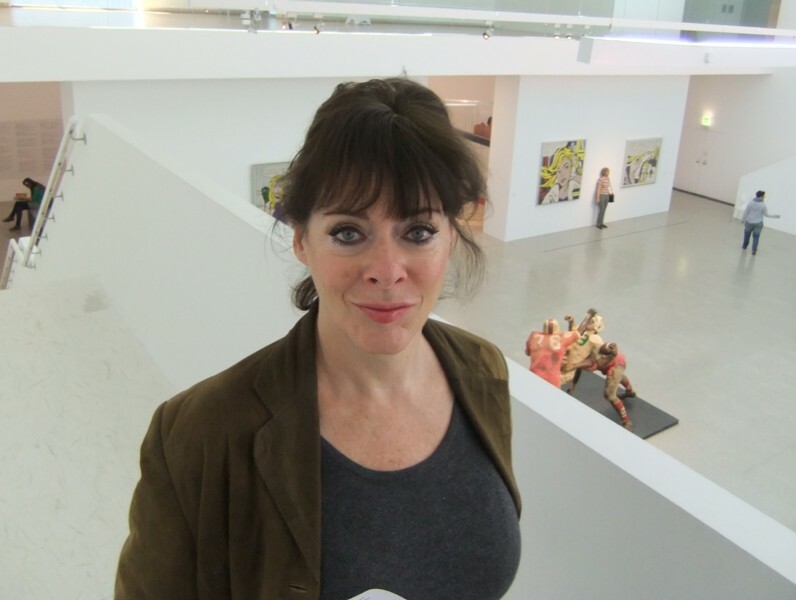 Jane admires the work of contemporary artists including Andrew James, Tim Benson, Adele Wagstaff, Daniel Shadbolt, James Bland, Jenny Saville and Sarah Spackman.